You may find that many a times you come across some websites which does not support version above IE 9, they give errors that this website just support IE 6,7 and 9. But as known fact we all knows that Windows can not support any version below IE 11 and its keep on updating. 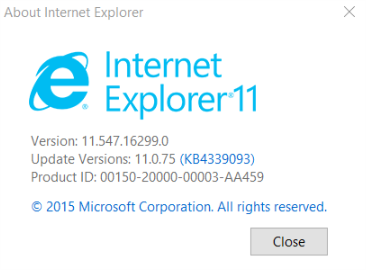 So what to do if you have Windows 10 installed on your computer and you want to use the Website which supports lower version of Internet Explorer. So there is a work around though some of the users may find it little time consuming and hectic but still it is the only way you can run degraded Websites on the Windows 10 platform without any problem. To fix this issue you need to open Internet Explorer make sure its not the Edge browser, you specifically needs an Internet Explorer to do it. 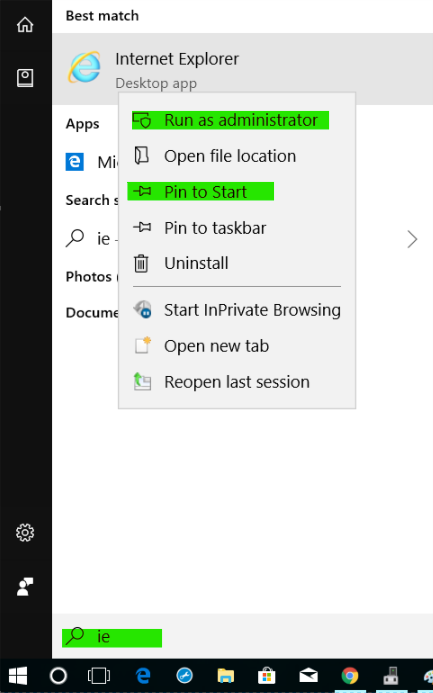 To open Internet explorer you can type Windows Key + Q to open Cortana Search and type in Internet Explorer or IE in there and it will show you the Internet Explorer on top of it as in below image. If you are going to make use of Internet Explorer again and again the I will recommend you to right click the Internet Explorer option select the option Pin to Start as highlighted in above image. 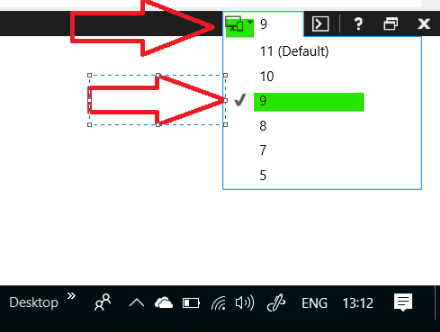 Now open Internet explorer and then click on the gear icon on the right hand side top of the page and the select Developer Option you can also open Developer Option by simply pressing F12 key on the Keyboard. That's it now open the websites you want to run in IE 9 compatibility mode in IE11 and you will find it to be working just like your old Internet Explorer 9.